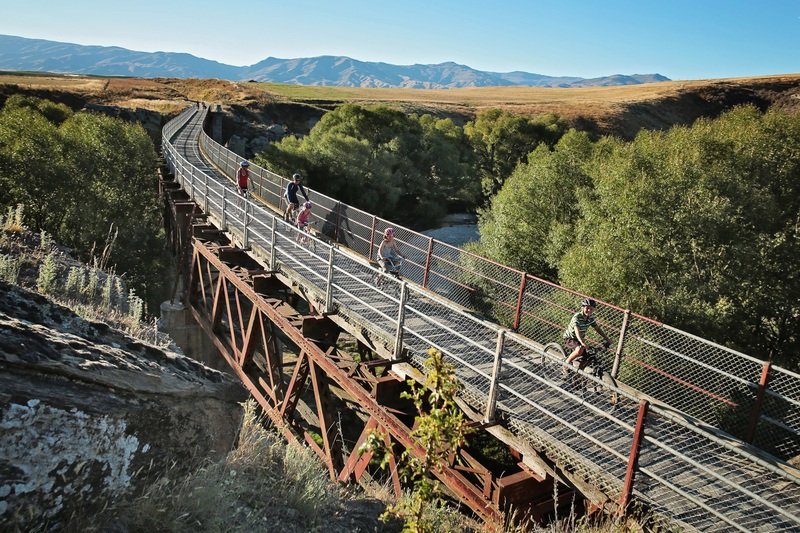 New Zealand’s first rail trail, the Otago Central Rail Trail opened in 2000, its 152km length following the former route of the Otago Central railway. The trail is suitable for all ages, and for a comfortable ride, cyclists should be fit and competent on a bike. Allow at least four full days to complete the trip if cycling at 10kmh and covering 35-40km a day. Children of all ages can also enjoy the trail. Children’s bikes are available for hire, as well as child tow-alongs, baby seats and child trailers.